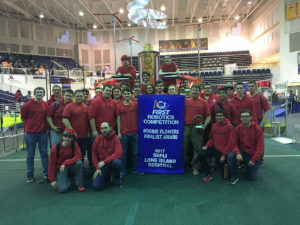 In keeping with its long standing philosophy of philanthropic support dedicated to developing future engineers, Retlif Testing Laboratories proudly announced that the Sachem High School Robotics Team is the winner of the 2017 School-Business Partnerships of Long Island, Inc. (SBPLI) FIRST Robotics Competition. Since 2000, Retlif has supported the group known as ‘The Sachem Aftershock Robotics Team’ with engineering support, financial contributions, and internships at Retlif’s Ronkonkoma New York headquarters. The Sachem Aftershock Robotics Team has consistently ranked in the top 1 percent of all competing teams, adding to previous triumphs that include SBPLI Regional Winner, South Florida Regional Winner, as well as the Xerox Creativity Award. Retlif has supported local communities in many charitable initiatives. In 2013, Retlif elected to formalize the process and develop a format that would embrace employee involvement to assist the community. This formalization included Retlif employees and in the decision making process to determine what events and efforts the company would support. To that end, an Employee Council was developed with representation from all Retlif locations. The number of representatives from a location is based on the staff size of the location and the employees elect the representatives. The current council is composed of six representatives, three from our Ronkonkoma NY Headquarters, two from our Harleysville, PA branch laboratory, and one from our Goffstown, NH branch laboratory. The Employee Council meets a minimum of four times per year and both potential charitable and employee-focused events are discussed. Since its inception, the Retlif Employee Council has broadened the range and reach of charitable and employee-focused events, and has made Retlif an even greater presence in the community. At Retlif we embrace the concept of support and giving back. We believe it is our responsibility to maintain or expand support of the communities where we reside. We do this through an active, focused charitable giving commitment driven by collaboration of Retlif employees and management. At Retlif headquarters in Ronkonkoma New York, Retlif employees were extremely active during the holidays and the closing weeks of 2016. Employees, together with management, conducted successful drives to help those in need with clothing, food and toys, all were of which were generously supported. The canned and packaged foods, new and gently used clothing, and special toys to warm a child’s heart, were distributed through St. Joseph’s Parish Outreach (Ronkonkoma NY) and Refuge Apostolic Church Of Jesus Christ (Freeport NY). Both organizations are non-denominational with their charitable dissemination to the communities. Many thanks are due to all those who did the tough but rewarding work of organizing and coordinating the efforts, and to those who donated so generously. 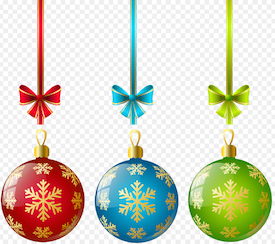 Special thanks go out to Victor, Linda and Don of the Retlif Employee Council Committee for getting the ball in motion and keeping it moving throughout the holiday season! Great going guys! Retlif has long supported those in need in many different ways. 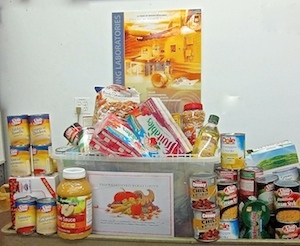 At Retlif’s Goffstown New Hampshire location, Retlif employees and friends provided a large contribution of canned and packaged foods, as well as other items for preparing and cooking food. The drive yielded some 120 pounds of nutritious items for the local Goffstown Network Food Pantry food assistance program www.goffstownnetwork.org . Retlif New Hampshire urges everyone to continue to support such important and worthy community efforts. 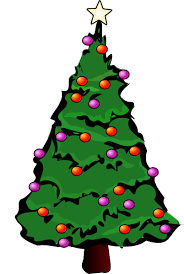 The Goffstown Network Food Pantry is a 501C3organization and contributions are tax deductible. 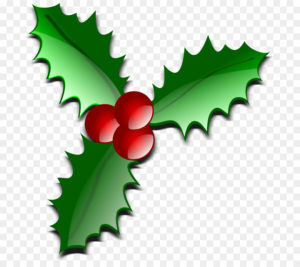 Thank you to Scott, Rob, Alecs, Jamie, Todd, Mike, Matt and Ethan for helping to make the holidays special. Retlif is pleased to be a corporate sponsor of The Long Island Chapter #202 Air Force Association’s Vietnam 50th Anniversary Commemorative Medal Ceremony. Held on October 24 2015 at the Northport VA Medical Center the event was well attended and an all around success. The Vietnam 50th Anniversary Medal was awarded to 24 deserving individuals who served in Vietnam and is authorized by the US Department of Defense. The medals were awarded by US Congressman Lee Zeldin. Six teenage U.S. Naval Sea Cadets from Long Island who set sail from Mount Sinai Harbor returned fro their six-day Voyage Of Discovery bringing back a lifetime of practical sea experience and tactical training. 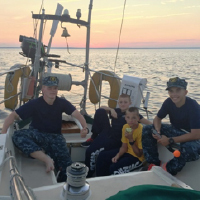 Captain Roger Noakes and three experienced crewmen sailed with the aspiring U.S. Navy Midshipmen aboard the 47-foot sailing vessel, the NADA. The six-day and six-night sail started on August 14th and included voyages to Connecticut, Cape Cod and back to Mt. Sinai Harbor (Brookhaven – Cedartown Beach) on August 20th. The sea experience included site tours and training. The Voyage of Discovery empowered the young sailors with confidence, courage and character through this opportunity to sail the Nada. 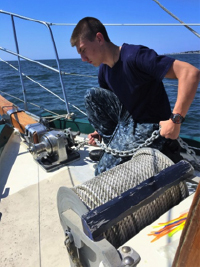 Prior to the sail, the Sea Cadets received months of hands-on training in coastal navigation and seamanship at the Sea Cadet training program in East Moriches. The Sea Cadets earned the privilege to participate in the adventure and were selected by the unit leaders from the Sea Cadet training program. Life lessons were taught at sea as the Sea Cadets were on 4-hour rotations, 24-hours a day throughout the voyage. The journey began as the Nada set sail on August 14th at 4 p.m., leaving Mt. Sinai Harbor. The crew sailed through the night and arrived at dawn on the Thames River in Connecticut. 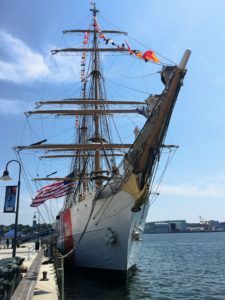 The Sea Cadets toured the Coast Guard Academy – Jacob’s Rock (Sail Training Facility), and the three-masted USCGC Eagle barque before departing New London that night. They then sailed to the Stellwagon Bank area north of Cape Cod off the coast of Massachusetts to study humpback whales. The vessel returned to Mt. Sinai on August 20. 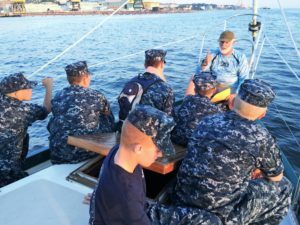 An NLUS Long Island Corporate member, Retlif Testing Laboratories sponsors the “Voyage of Discovery” for six US Naval Sea Cadets from Theodore Roosevelt Division. The voyage aboard the 47-foot sailing vessel Nada is under direction of Commanding Officer Lieutenant Commander Forrest Woodward. NLUS Long Island focuses on and highlights local businesses that add value to the culture and the economy on Long Island. 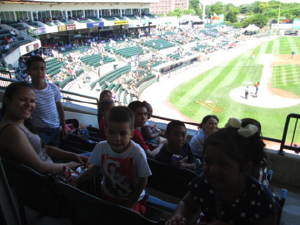 Retlif hosts a group of disadvantaged children from the Family and Children’s Association of Long Island (FCA) at the Long Island Ducks “Camp Day”. A good time was had by all! 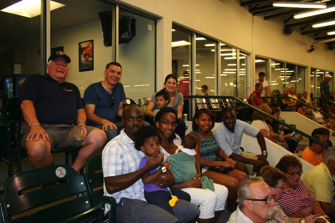 Retlif entertained s of the 1st Marine Division in honor of Military Appreciation Night. 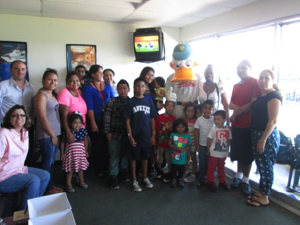 The event included a memorable Long Island Ducks game and was hosted at the Retlif Suite at Bethpage Park in Central Islip. 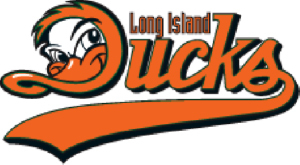 One of the most pleasurable things to do on Long Island is a date with Ducks! Retlif makes that possible for some 40 people at the Retlif luxury suite at Bethpage Park on several occasions. At various times, guests included members of St. Joseph Church and St. James Church. The suites were also made available as raffle prizes at Retlif’s 2015 golf outings. January 2015: Extending Leadership Through First Robotics Competition. For the 15th consecutive year, Retlif supports the First Robotics Competition. 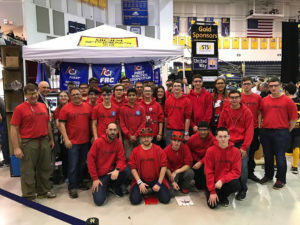 Held at Sachem High School, Retlif contributes through financial donations and by providing an expert staff engineer to work with the robotics team. First Robotics, “the varsity sport for the mind” was founded in 1989. 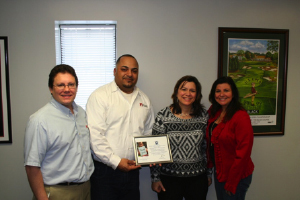 Retlif supports Toy Drives for the benefit of children and families from our headquarters in Ronkonkoma, New York. 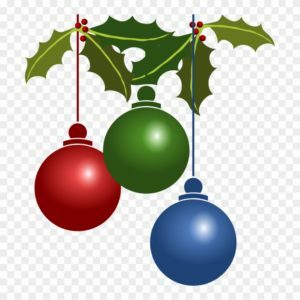 Two Toy Drives are conducted on behalf of St. Joseph Parish Outreach non-denomination program, Ronkonkoma New York, and the Grace Fellowship AME church in Freeport, New York. 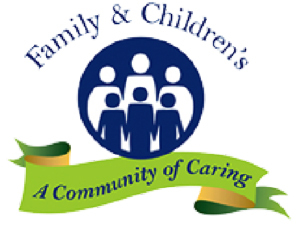 Retlif has long been a supporter of participates in the “Adopt a Family” program with the Family and Children’s Association of Long Island.